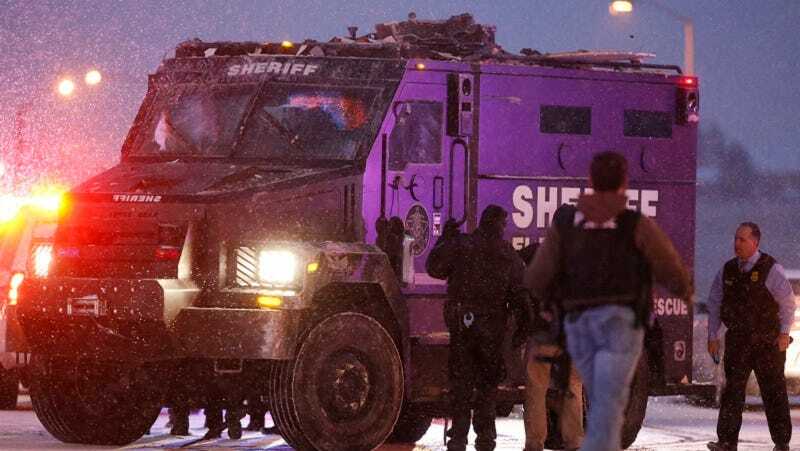 Robert Lewis Dear, the 57-year-old arrested for the shooting at a Colorado Springs Planned Parenthood, has been investigated by the police for numerous incidents ranging from leering to domestic violence, and cruelty to animals. Buzzfeed reports that prior to relocating to Hartsel, Colorado, Dear was previously a resident of Walterboro, South Carolina and also had an address in Black Mountain, North Carolina. Pam Dear declined to file charges, but told police that she “wanted something on record of this incident occurring.” The police report noted bruising on Pam’s body. Buzzfeed has also found incident reports that outline an ongoing dispute with a neighbor, shooting a dog, and a 2002 investigation of Dear for “making unwanted advancements” by lurking in the bushes of a nearby couple’s’ home.